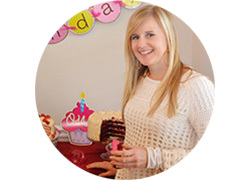 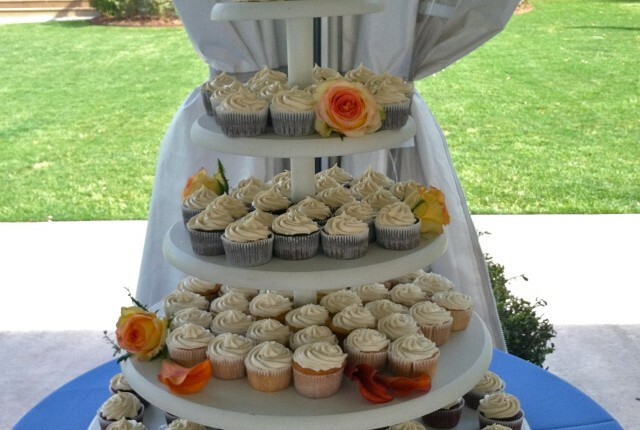 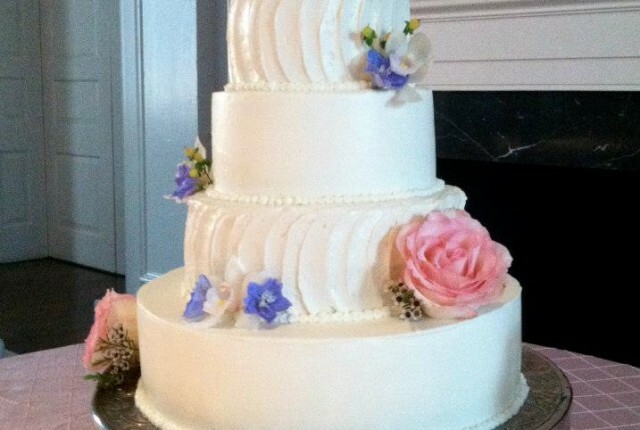 A 3-tier chocolate cake with vanilla buttercream icing for a wedding reception. 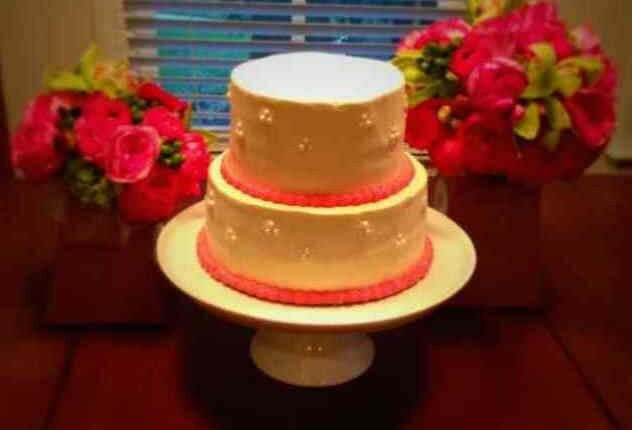 A red velvet cake for the bride and groom to cut, plus four tiers sliver-white, chocolate and red velvet cupcakes. 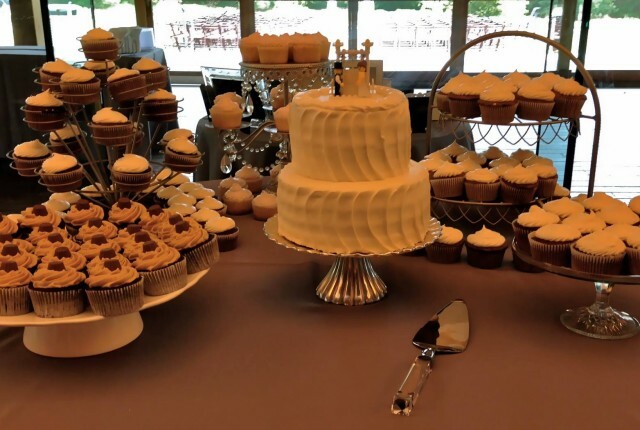 A two-tier carrot cake with a mixture of red velvet, chocolate peanut butter, carrot and lemon-raspberry cupcakes to satisfy all tastes. 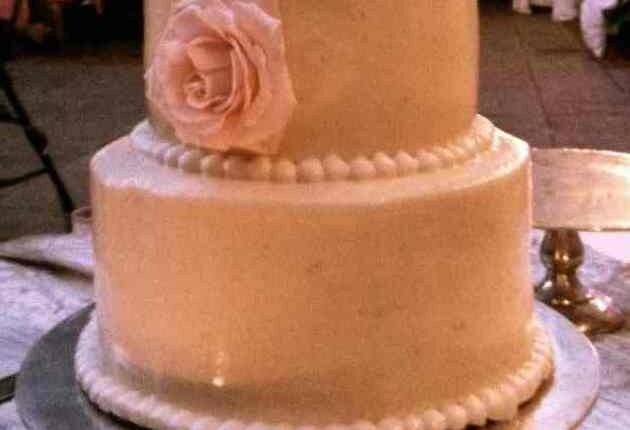 2-tier lemon cake with lemon cream cheese icing. 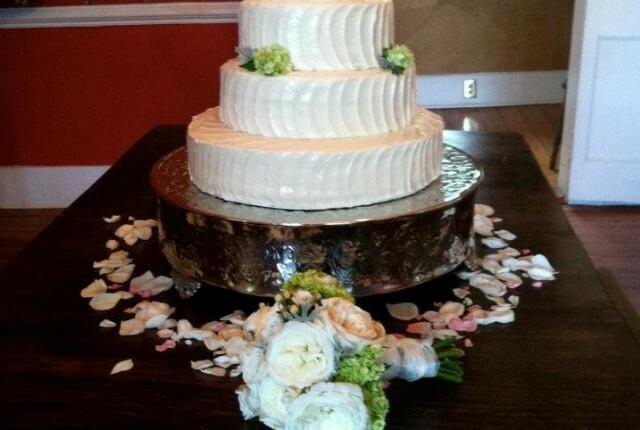 A yellow cake with lemon curd filling and cream cheese icing for a wedding. 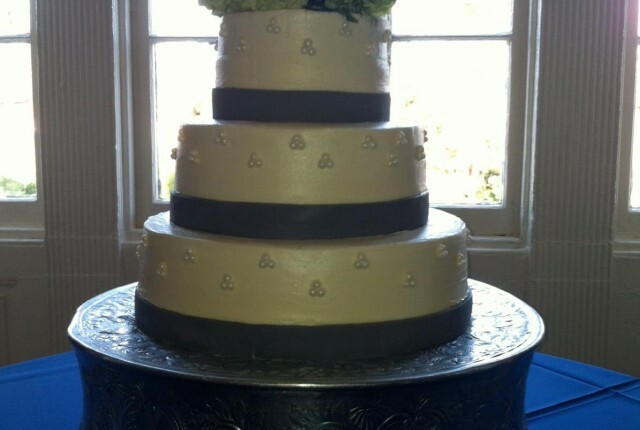 A 3-tier yellow cake with vanilla buttercream icing for Jacqui and Adam’s wedding. 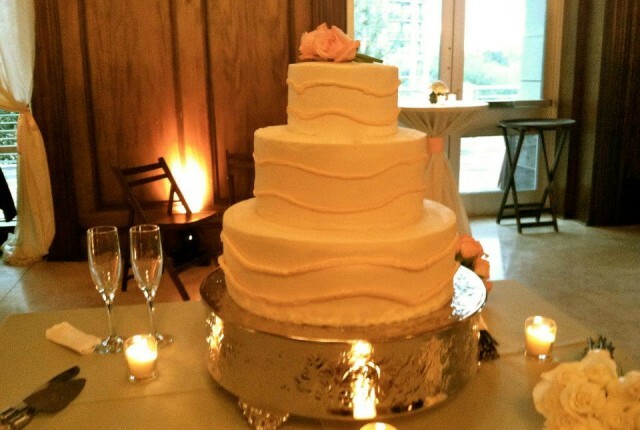 A 4-tier red velvet cake for a wedding.